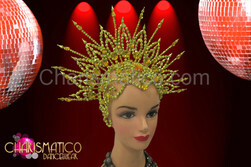 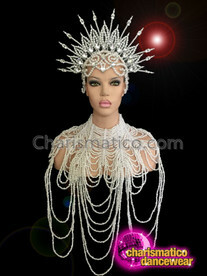 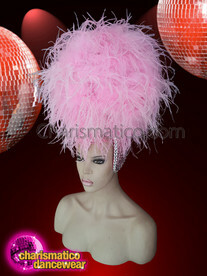 The Headdress is a simple one with black and silver crystal sequins. 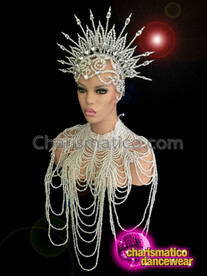 It also has spikes attached with it which makes it look even more attractive. 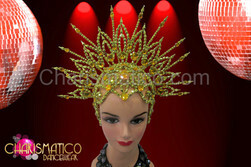 The Headdress is extremely charming and graceful. 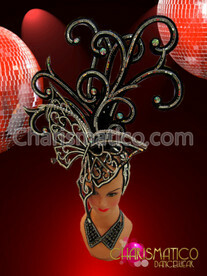 It is hand decorated with high quality materials.